There has been a noteworthy shift towards theory driven research over the last twenty years in the top journals of the field of Entrepreneurship – the result of importing over a hundred different theories from a variety of fields. One potential perspective on this ‘knowledge spillover’ from other fields is that anything goes. An opposing perspective is that the field should be vigilant about what theory spills over into its scholarly journals. 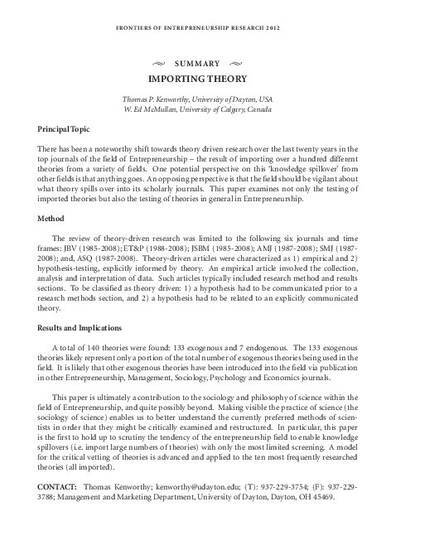 This paper examines not only the testing of imported theories but also the testing of theories in general in Entrepreneurship.